This is a Green colored 40 Pin 2.54 mm Single Row Pin Header Strip from DFRobot. 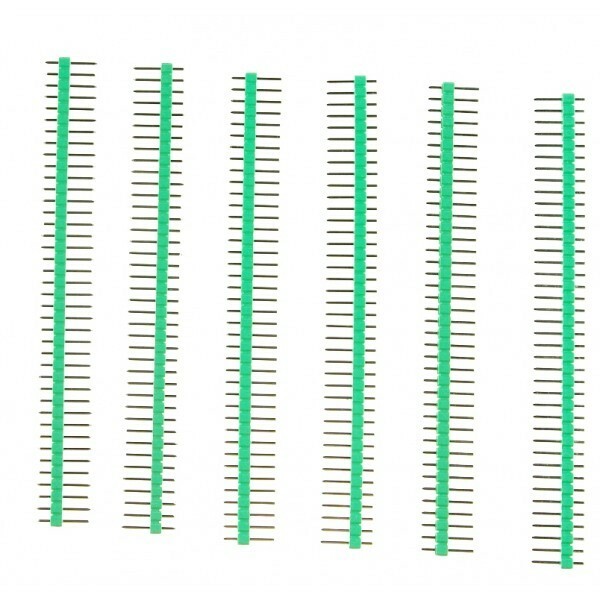 These 0.1" header strips are commonly used as low-cost Arduino connectors. 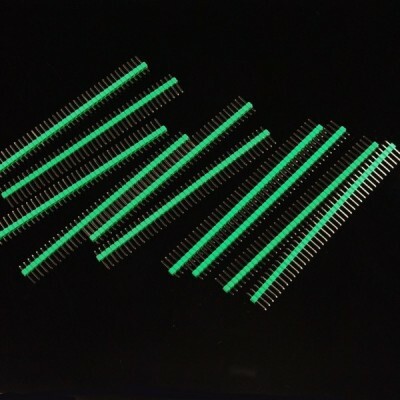 The standard spacing allows use with solder-less breadboards, perforated prototyping PCBs, and female headers such as those used on our Orangutan robot controllers. These header strips can easily be snapped into smaller strips to fit your application. 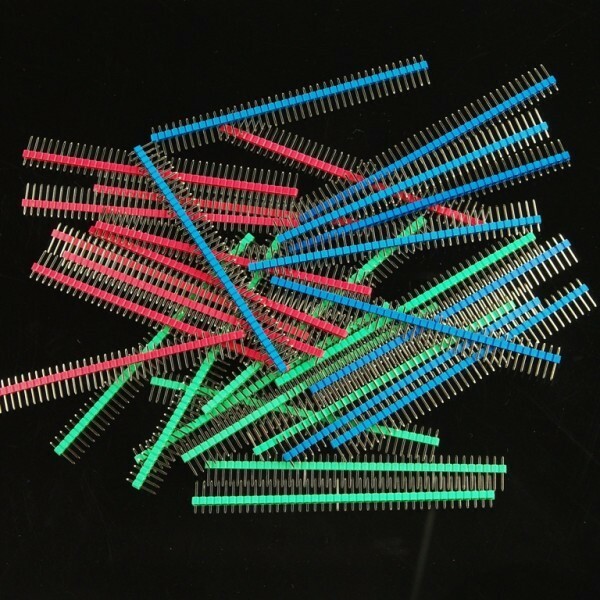 10 pieces of 40 Pin Headers - Straight (Green).